Pax Christi Australia, a member of the International Movement for Peace, Pax Christi International, met for its National Conference from August 23-25, 2013 held at the Edmund Rice Centre for Justice and Community Education, Homebush West, with members from Queensland, New South Wales and Victoria with visiting members from Aotearoa New Zealand, West Papua and the United States. The theme of the conference was Peacemaking: an alternative narrative. The assembly, on this Refugee and Migrant Sunday, strongly deplores the indifference that many Australians, including the media and politicians, have fallen into. Many Australians have the belief that we are a generous and fair minded people but this is not reflected in the cruel and inhuman treatment of vulnerable people who have been driven from their homes as a result of oppression and conflicts, some of which Australia has been, and continues to be, involved in. 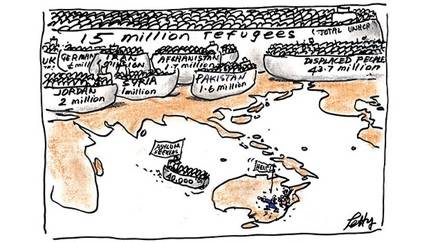 Pax Christi Australia acknowledges that people who seek asylum are our brothers and sisters. 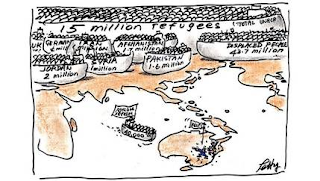 It strongly refutes the language and false narrative that is used by sections of the media and by politicians that asylum seekers are illegal, which they are not; that they are jumping a queue, which does not exist; that people seeking asylum by boat are a threat to Australia’s border security, which is not true; and, that we are being overwhelmed by an influx of asylum seekers, which is not the case. Finally, Pax Christi Australia is deeply concerned by the lack of leadership shown by politicians and a number of religious leaders who by their language or silence leave Australians morally diminished. (RESV—Richard E. Stearns Version in Richard Stearns, The Hole in Our Gospel p. 59, Kindle Edition.